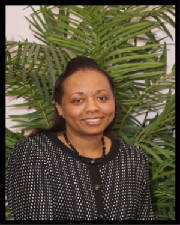 Surette S. Sands has a Bachelor's Degree in Pharmaceutical Science and a Masters in Health Services Administration. She has devoted many years to Health Improvement in the Tri-County areas of Dade, Broward, and Palm Beach. She is a Christian woman and a woman who has directed many community outreach programs and she is a leader in the community. Ms. Sands has partnered with the Broward County Health Department, American Cancer Society, American Heart Association, Memorial Regional Hospital and many other health care organizations focused on improving health in our communities. She is a member of the Broward County Pharmacy Association and the Florida Pharmacy Association. She has managed and currently manages healthcare organizations. She is licensed and certified as a Health Educator and Consultant and she specializes in Disease State Management. She is also the former owner of Medicap Pharmacy located in Pembroke Pines. Surette Sands is a Minister called with and evangelistic focus and a call to minister to the whole man and lift people in Spirit, Soul, and Body. She believes she is a vessel God has chosen to bring back men and women into purpose and to the new Adam ordained from the beginning of time. She is also the CEO of Alpha Health and Nutrition Rx. Inc.
She is committed to individual and community health improvement.